Heating Things Up for Bed Bugs - Yes Pest Pros, Inc. Heating Things Up for Bed Bugs - Yes Pest Pros, Inc.
No matter how it came about, the bed bugs that are currently in your home are not welcome at all. Maybe right now they are only stuck in one room. Or maybe they’ve migrated and now your home has bed bugs in every room. Whatever the case may be, you want them gone. This is especially true for anyone who has small children. Bed bugs need to go. But they’re very difficult to get rid of. Their small size and their infuriating ability to hide in everything makes them an extremely difficult target. Even some pest extermination companies can find themselves returning to a home every now and then after a bed bug treatment because they failed to get every bed bug in its hiding spot. So now what? Like most creatures, bed bugs can only survive within a given temperature range. A lot of creatures have a pretty wide range, whereas some have a narrower temperature range. Bed bugs are comfortable in most homes because the temperature isn’t likely to drop down too far or even get up too high. That’s where skilled Elkhart pest control technicians come into the picture. A heat treatment not only kills adult bed bugs, but also any immature bugs as well as the eggs. This is one of the most important parts of the treatment – killing all stages of bed bugs. Otherwise eggs would hatch and the cycle would start all over again. Heat treatments mean that the technician will bring in equipment specially crafted to heat up the interior of your home or specific rooms, depending upon the extensiveness of the bugs. Temperatures above 100 degrees Fahrenheit will slowly kill bed bugs, but once temperatures hit 120 degrees, bed bugs will start dying within minutes. Because they die from dehydration, the lower the humidity is in the house to start with, the better. How quickly the treatment works will depend on many factors, such as the clutter in the area, the number of rooms that must be treated, the layout of the area, severity of the infestation, and airflow management. The technician will let you know how long you need to leave the area for as the treatment will steadily increase the temperature in the space over time to ensure an even and effective distribution of heat. A heat treatment can take several hours, but it’s effectiveness means that you will return to a bed bug-free home. Even better, you can rest easy knowing that absolutely no chemicals or poisons have been sprayed in your home and on your belongings. Children will be totally safe and pets can roam without any worries. Your home’s temperature will return to normal and you will no longer have to worry about bed bugs bothering you or your family at night. 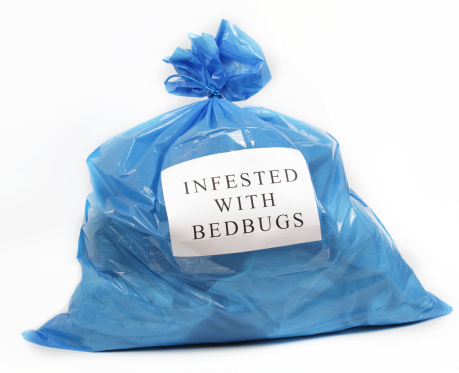 Heat treatments are an excellent way of solving the bed bug problem all while remaining eco-friendly and totally safe. If you have a bed bug issue, contact an Elkhart pest control company for a free evaluation and start looking into heat treatments for bed bugs today.